Having a window unit means your window is constantly open. This increases the risk that someone could break into your home, particularly if the window unit is at ground level. 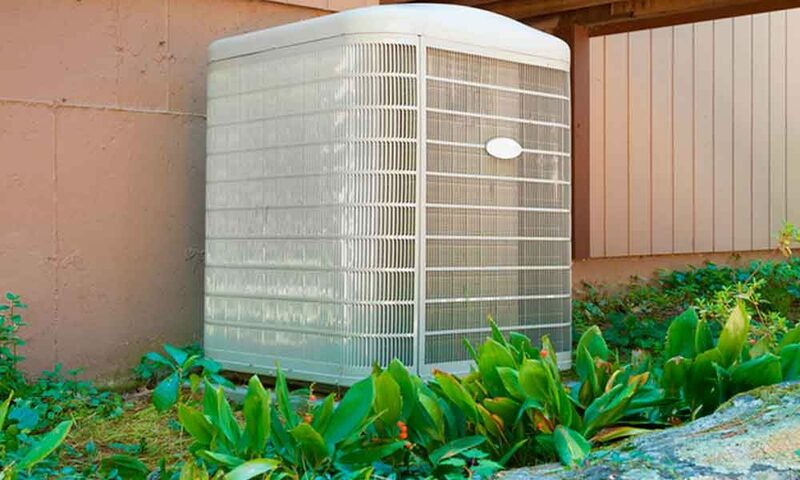 A central air unit doesn’t interfere with any other part of your house, meaning that you can continue to lock up as usual without worrying about sacrificing safety for cool air. If you’ve ever tried to install and operate a window unit, you know that it is a pain. First of all, window AC units are extremely heavy. They can be 80 lbs or more, which makes it almost impossible to install by yourself. Then you have to turn around in 4 or 5 months to uninstall it and find a place to store it. 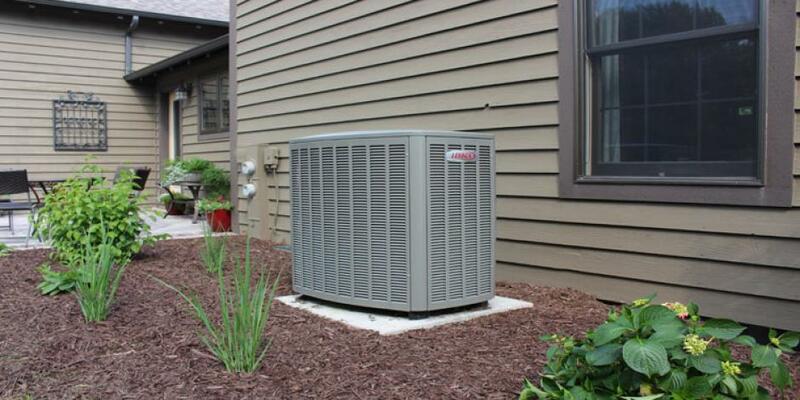 A central air conditioner is ideal for installation and operation. Once it is installed, all you have to do is set your programmable thermostat and go about your business. With the correct thermostat, you can set it for different temperatures at different times of the day, using your machine in the most efficient way. You’ll keep cool and hardly have to lift a finger, let alone 80 plus pounds. This often requires a Green Apple Plumbing & Mechanical professional to complete the refrigeration and the electrical installations. The savings can be worth it if the total work costs less than $1500. 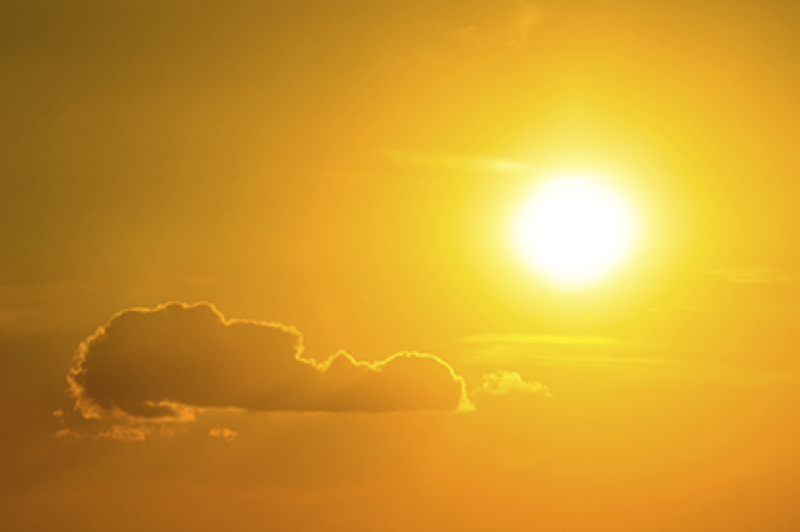 By placing the unit away from direct sun’s rays, you will keep it at a moderate temperature and keep all the parts running more smoothly. 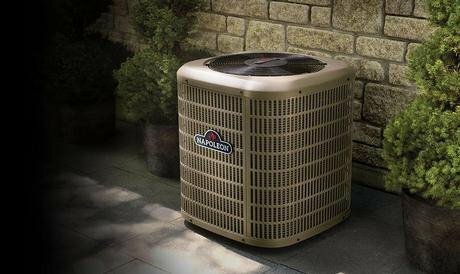 Additionally, you will notice a longer life on your central air conditioner because it is running less during the summer months. Have a licensed Green Apple Plumbing & Mechanical HVAC technician come out to your home to see what can be done and what the total cost would be. If the cost is too great, consider installing some type of shade or awning off your house to help shade the air conditioner. You’ll want to leave about 12″ around the sides of the air conditioner and about 3-5 feet around the top of the unit for future servicing needs. Longer equipment life: Air conditioners, furnaces, and other HVAC equipment function best when they’re regularly serviced and cleaned. One malfunctioning part can cause a domino effect that causes the entire system to break down. Regular maintenance prevents this from happening and adds years to your HVAC lifespan. Safer equipment operation: A failing HVAC system does more than cost a lot of money to repair; it also can endanger your family. For instance, if the furnace develops a crack in the heat exchanger, carbon monoxide gas can escape and poison the air you’re breathing. Also, electric HVAC systems can develop a short circuit, which is a serious fire hazard if ignored. Clearly, your family’s safety is yet another reason to schedule annual HVAC system maintenance. Taking daily steps to prevent drain clogs is so important. In the kitchen, this means not pouring grease, fats, or oils (including cooking oil and butter) down the drain. These products will eventually coagulate inside of the drains, and if the clog is in the drain outside of the home, then the repair can really get expensive. Proper use of the garbage disposal is also important for preventing clogs. 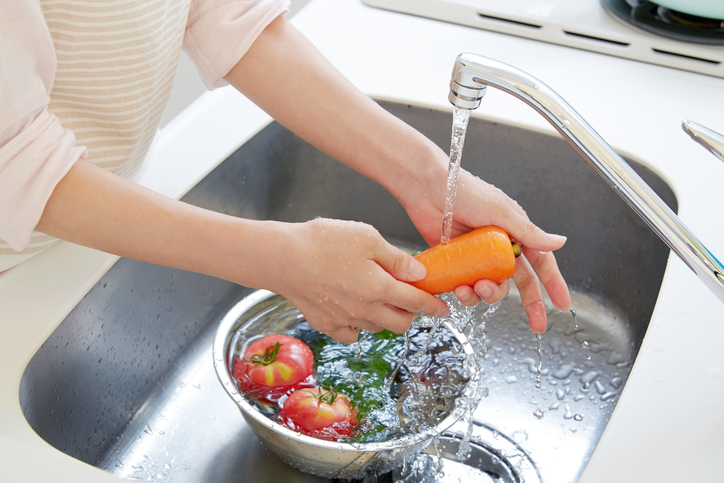 When using your garbage disposal, you should turn the water on before running the disposal and leave the water running for a good 15 seconds afterward to help rinse the debris through to the main line. You should also avoid putting certain foods in the disposal, including fibrous foods like banana peels and celery, as well as foods that are difficult to process, like potato peels and cucumber peels. In the bathroom, you should reduce your use of bath oils and avoid using chemical clog removal products. You should also avoid flushing anything other than human waste and toilet paper down the toilet. Things like tampons, diapers, and other garbage items will quickly cause a clog if you try to flush them. Before each cooling season, it is a great idea to get a regular maintenance check and cleaning done on the unit by a Green Apple Plumbing & Mechanical NJ HVAC professional. Service professionals inspect the control box; coils; fan motor and blades; and compressor and tubing; among other things. 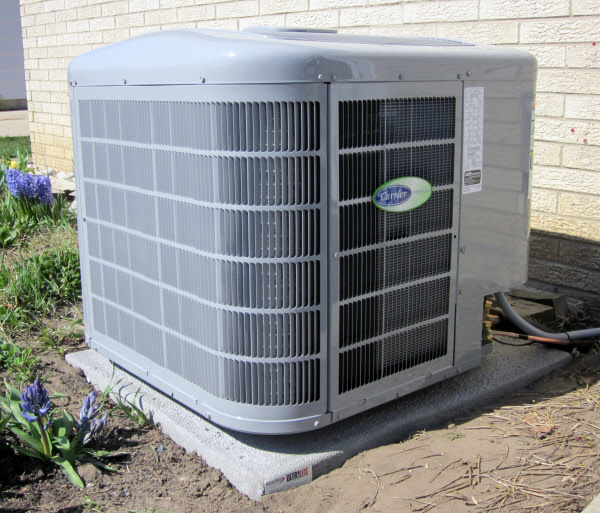 Additionally, refrigerant levels are inspected and adjusted if necessary, and the unit cleaned. As the old saying goes, an ounce of prevention is worth a pound of cure. If you’ve ever had your central air conditioner quit working on the hottest day of the year, you fully understand that preventative A/C maintenance is definitely preferable to repairing or replacing it due to neglect. Make sure your travel plans include time for plumbing prep. If you have summer travel planned, make sure your home is ready for it—especially if you’re going to be away for weeks or months at a time. Arrange to have a trusted friend or neighbor check in on your house and make sure everything is ok. Even an absence of a couple of days could lead to a big and costly mess if a leak goes undetected. Check your water-using appliances for loose or cracked hoses, leaks or other malfunctions. 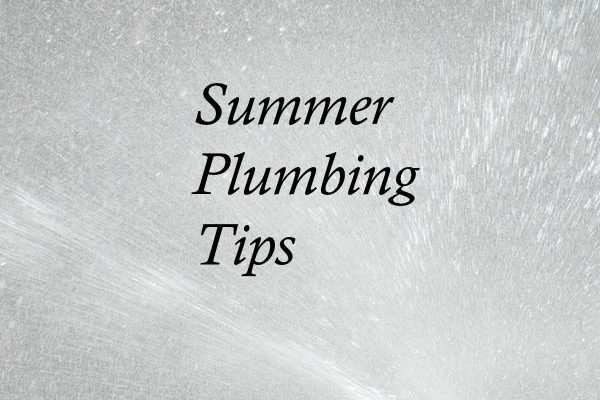 Turn your water heater down to its low, pilot or vacation setting. No need to waste energy heating water that won’t be used! If you’ll be away for an extended amount of time, consider turning off your water main and hot water heater and draining your pipes and tank. Empty the dishwasher and washing machine, and leave them open to air. 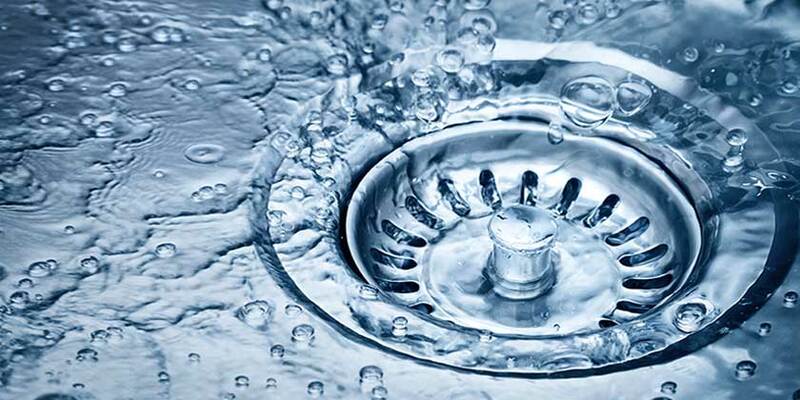 While you’re at it, make sure your garbage disposal and plumbing traps are clean. That way, you won’t be coming home to musty, unpleasant odors. Make sure all indoor and outdoor taps are completely off. If your irrigation system is on a schedule, make sure it will run as desired while you’re away. 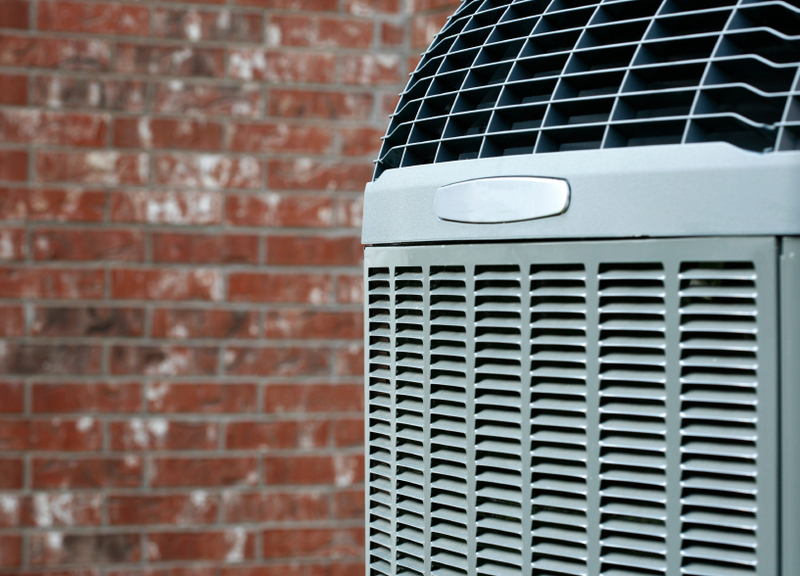 Have You Overlooked These Air Conditioning Concerns? 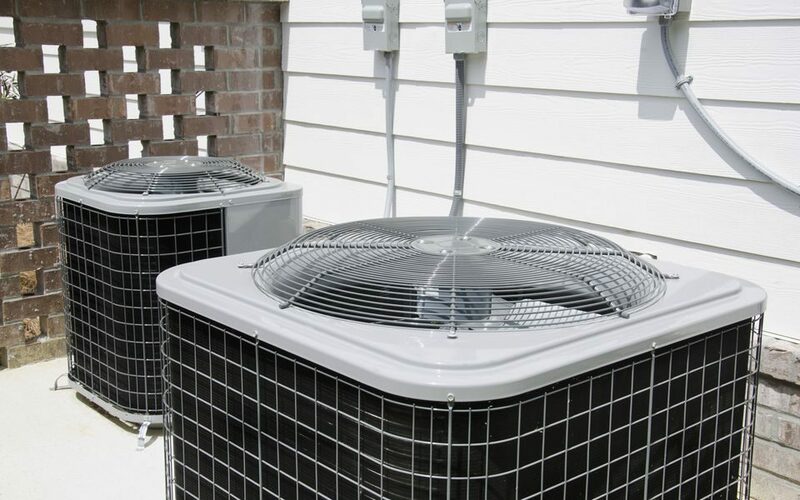 Air conditioning evaporator fins and coils allow heat to pass from the refrigerant in the system out into the air, just as condenser coils absorb heat from inside the house. This process of moving heat is very important, but it can become impeded by layers of dust and grime. If you never ever check on your coils that grime is costing you money and decreasing efficiency. Clean your air conditioner at the beginning of the warm season and check it from time to time, especially after storms or high winds to make sure your coils and fins stay clear. Your home’s air filters help to remove dust, allergens and more from all the air that passes through the system. These filters are typically light cardboard-and-wire constructs that are designed to be regularly replaced. After around six months or so, that filter is so filled with dirt, air has a tough time getting through and the unit can’t really do its job anymore. That not only raises the volume of dust in your home, it also greatly decreases airflow and efficiency for your AC unit. You can improve energy use for your AC by five to fifteen percent just by replacing a dirty filter, so make sure that you get a new filter a couple times a year and remember to check and change it after particularly dusty activities, like a big demolition and remodel. If you have a large family, the summertime brings a lot more use out of your home’s toilets when kids aren’t in school. Since your fixtures get more flushes, they are more common to maintenance issues.